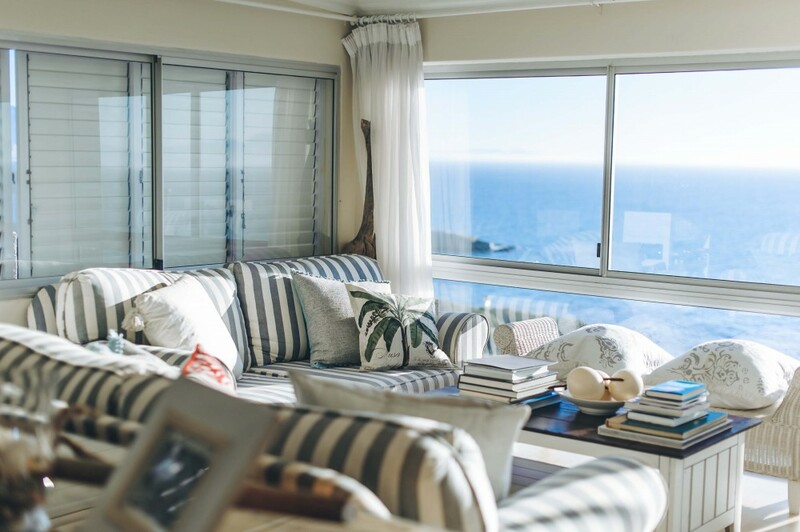 Grown-up, relaxed, stylish, modern, special – this is The Flagship. 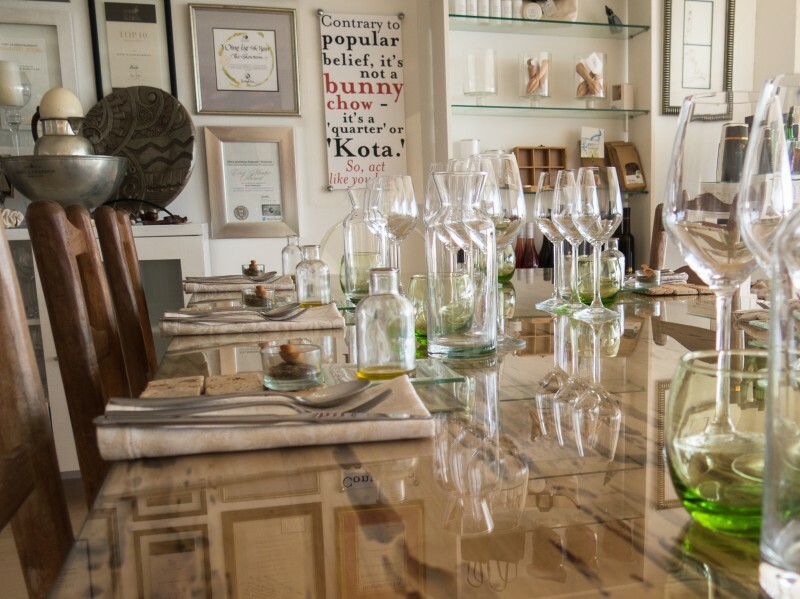 Our beautiful home and unique Chef’s Table epitomizes the best the Cape Peninsula has to offer. 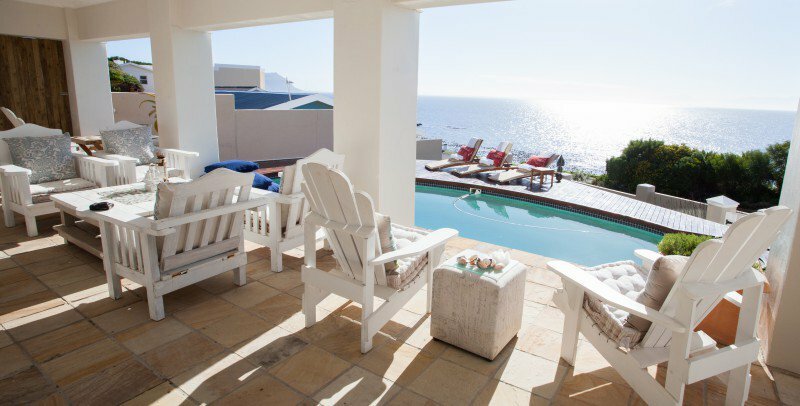 Choose to stay in one of our 4 fantastic sea facing rooms, all overlooking the pool deck and False Bay, where spotting a whale is our daily sport in the spring months. 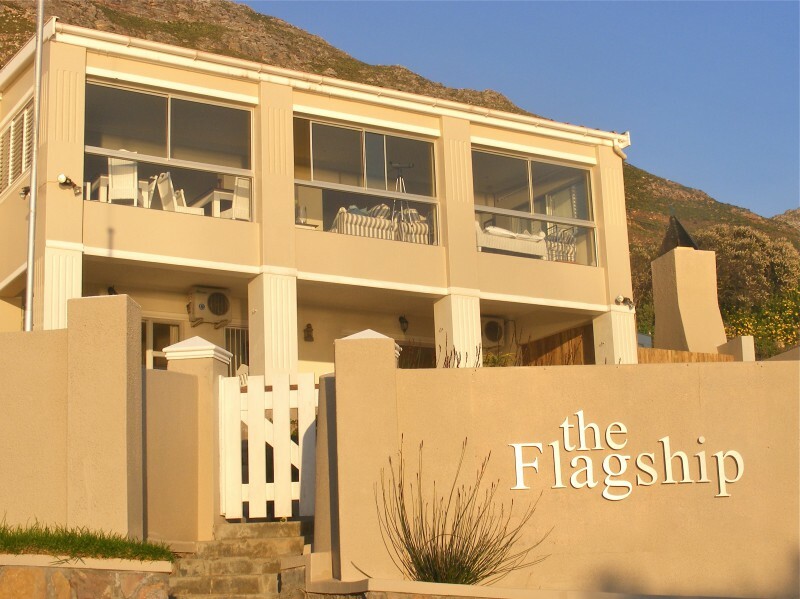 Join us at The Flagship, a place to kick back, relax, enjoy ultimate tranquility and soak up the Cape! 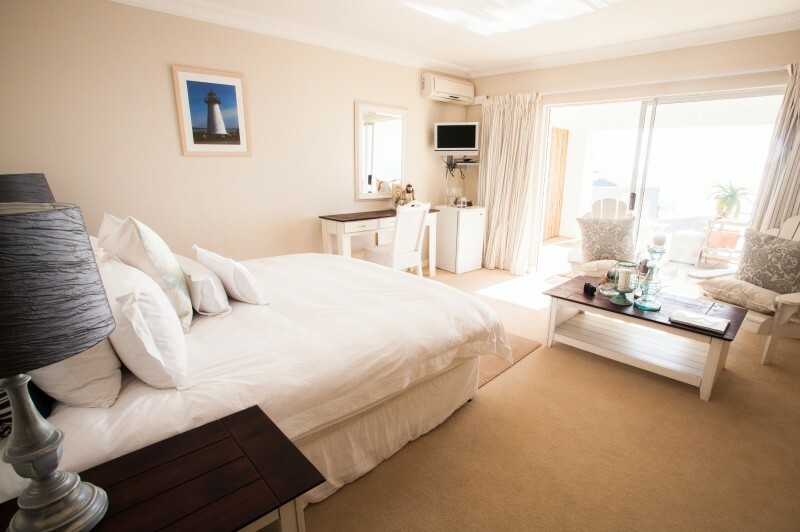 Stay in one of our 4 uniquely styled, spacious en-suite rooms – each a fabulous, original mix of classic white with hints of contemporary nautical design. 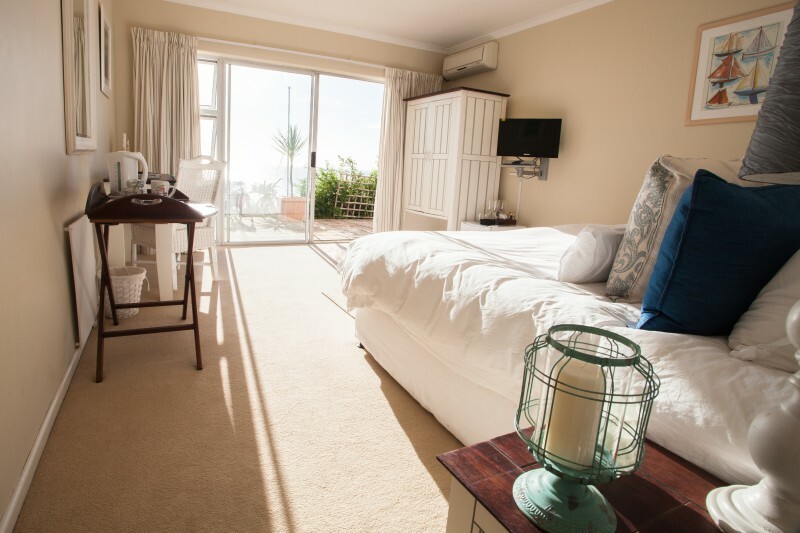 Created with equal amounts of flair, love and imagination, choose the slightly larger Deluxe Room or the Standard Double – either way you still get a seaview. 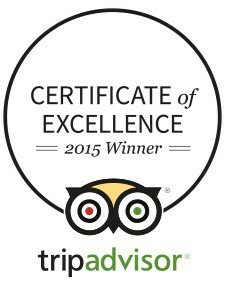 Dream away on your kingsize bed with 200 thread count Egyptian cotton linen and pure silk filled hypoallergenic duvets. Sink into a super deep bath, or wash away the day under extra-large shower heads pampering yourself with lush Godding & Godding bathroom goodies. 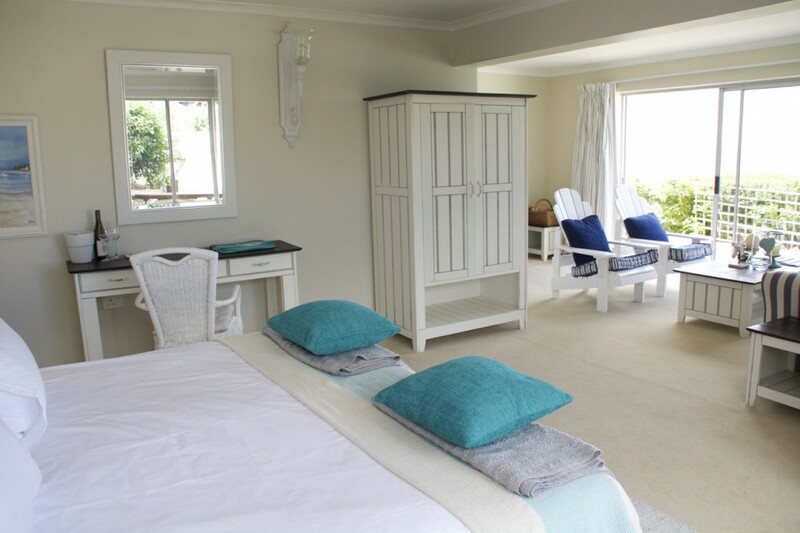 Your booking includes our traditional Cape breakfast to be enjoyed after a morning swim on our ocean view pool deck and a welcome bottle of wine. 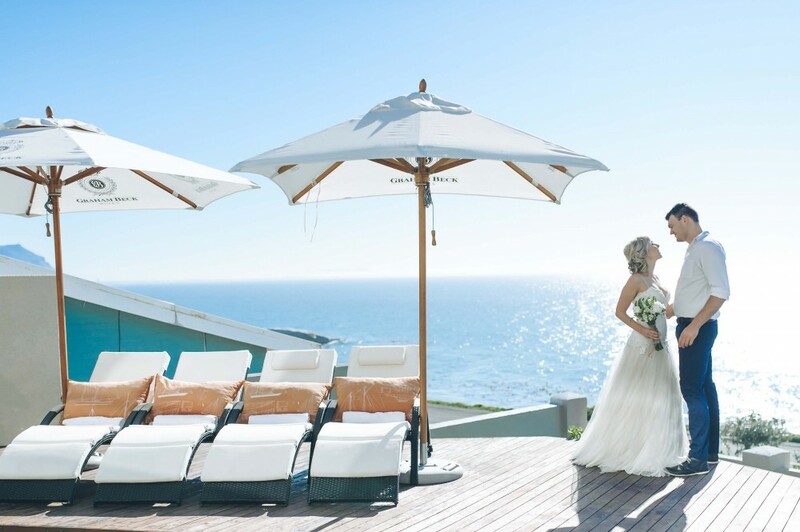 We offer a full personalised concierge service for transfers and touring requirements – Speak to reservations for more details. 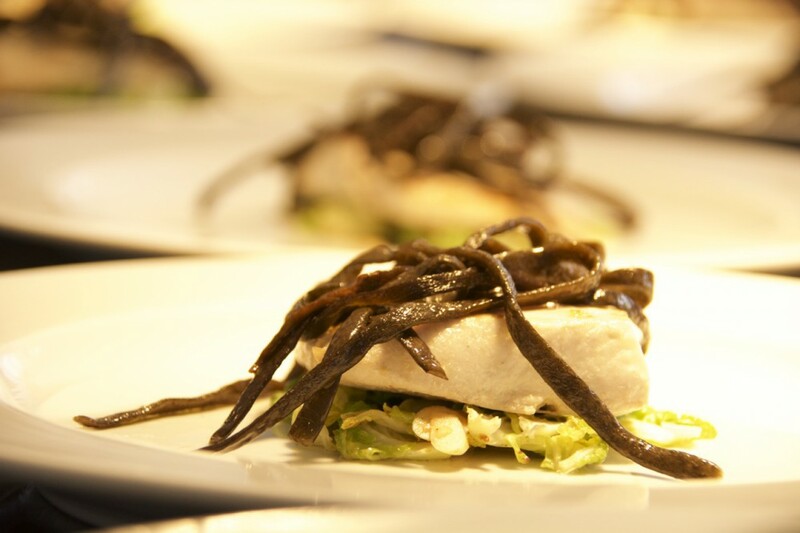 The Flagship also offers an exclusive 5 course sea-food lunch paired with Graham Beck wines and bubbly. This lunch must be booked in advance due to availability.